This beautiful beachside apartment is one of the most impressive at Observation Rise and shows exactly what can be achieved when a well-positioned apartment is completely renovated throughout. 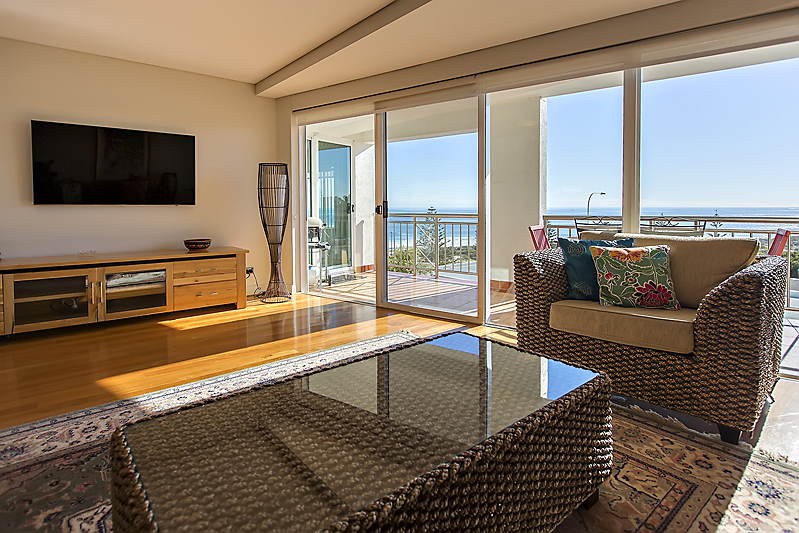 The apartment is positioned within the sought-after Reserve Building offering sweeping views of Scarborough and Trigg beaches, and north towards Hillary’s Marina. The north-facing balcony offers protection from the south-westerly breezes and enjoys natural sunlight all year round which warms the main living spaces. The kitchen, living and dining are all open plan with natural timber floorboards throughout. The kitchen features stone bench tops, white gloss cabinetry, Bosch stainless steel appliances and a deep red splashback to add a dramatic pop of colour. The island bench is sizable and perfect for entertaining with excellent storage throughout the entire kitchen. 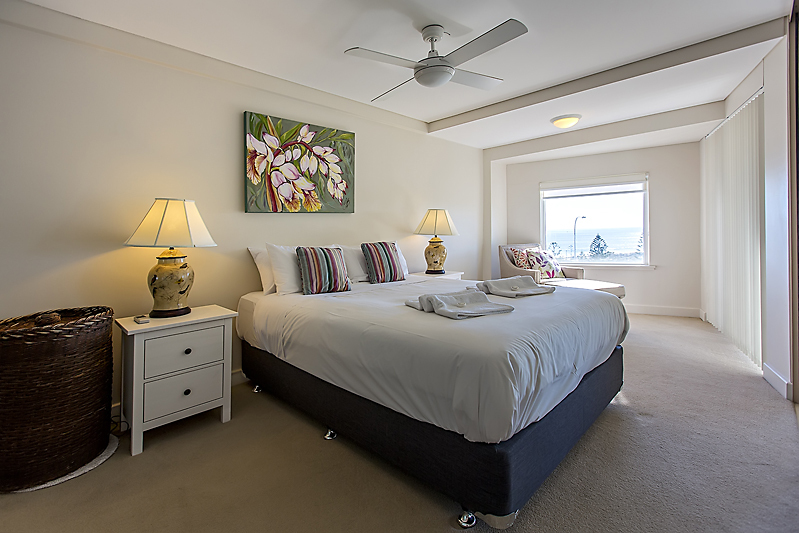 The master bedroom offers access to the balcony and a study nook or alcove with ocean views. The spa has been removed to provide a deluxe dressing room area and the ensuite is a luxurious retreat. There is a second bathroom and internal laundry, plus two additional generous sized bedrooms with built-in wardrobes (easily suited for a study if preferred). The apartment also offers views of the main tennis court from the entry plus two secure car bays in the underground car park plus a store room. All these features are in addition to the wide range of resort style amenities on offer at Observation Rise including an outdoor lagoon pool with sandy beach; recently renovated heated indoor pool and spa; sauna; fully equipped gymnasium; full and half court tennis courts; barbecues; night time security patrol and more. The $60 million transformation of the Scarborough beachfront is almost complete plus the iconic Scarborough Beach, cafes, restaurants, shops, bars and the new $26 million Scarborough Beach Pool are all just a short stroll from the complex. This apartment has proven itself as an impressive lifestyle and property investment.